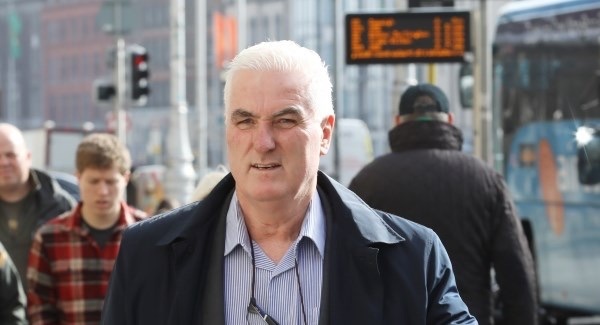 One of the most prominent anti-eviction activists in Ireland, Ben Gilroy, has been given a three month jail term in Mountjoy prison. The sentence was handed down in the High Court for contempt of court relating to comments he made on a previous occasion which were critical of the judicial system. In 2016, Mr Gilroy was among the first anti-eviction activists to confront loyalist eviction gangs recruited by KBC bank and took direct action to prevent the evictions from going ahead. He was strongly opposed to the eviction of the McCann family in Strokestown, Roscommon last month, and has recently become involved in one of the Irish versions of the Yellow Vest movement. Mr Gilroy stood as a Dail candidate on two occasions for the Direct Democracy Ireland party. In the 2013 Meath East byelection, he came fourth, beating the Labour candidate. In 2017, he was found in contempt after accusing a court of “criminal intimidation and threats” and compared the action of the court to that of “a thief putting a gun to his head and robbing him of his wallet”. The Navan man had also alleged he was “threatened by members of a semi secretive society wearing wigs and black cloaks” who believe they are “superior to other members of society” and who “act in a clandestine fashion to hide their criminality”. After Mr Gilroy admitted contempt, and said he was willing to undertake community service, the matter was adjourned and the October 2017 order later directed he complete 80 hours community service. In evidence to the judge on Wednesday, two probation service officers said Mr Gilroy had not performed any community service hours since the order was imposed. The judge said he was “quite satisfied” there had been conscious and deliberate refusal to comply with the order and it followed Mr Gilroy must now serve a sentence of three months imprisonment. Last October, in a separate but related High Court case, Mr Gilroy was banned from taking cases under an obscure legal provision called an “Issac Wunder order” after a judge condemned his anti-eviction online activism. A protest is taking place at 3pm today [Saturday] at the Garden of Remembrance Dublin to Mountjoy Prison demanding his release.